26 SMT Magazine • October 2015 fast is much worse than producing good boards slowly. The first experiment is to increase the speed of the squeegee stoke. 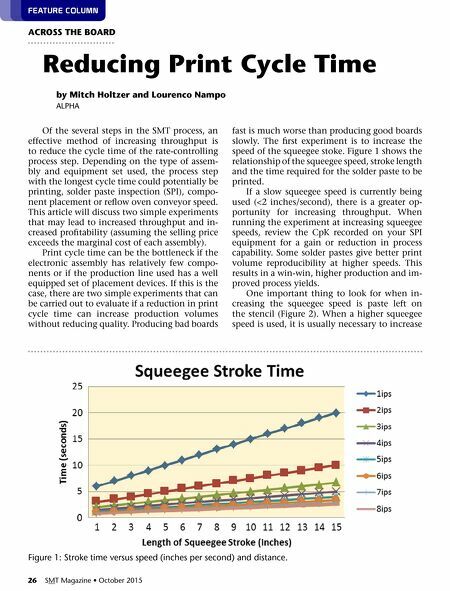 Figure 1 shows the relationship of the squeegee speed, stroke length and the time required for the solder paste to be printed. If a slow squeegee speed is currently being used (<2 inches/second), there is a greater op- portunity for increasing throughput. When running the experiment at increasing squeegee speeds, review the CpK recorded on your SPI equipment for a gain or reduction in process capability. 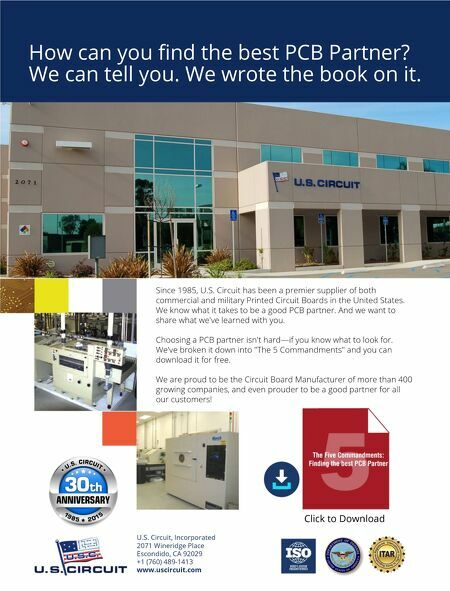 Some solder pastes give better print volume reproducibility at higher speeds. This results in a win-win, higher production and im- proved process yields. One important thing to look for when in- creasing the squeegee speed is paste left on the stencil (Figure 2). When a higher squeegee speed is used, it is usually necessary to increase FeATure COluMn Of the several steps in the SMT process, an effective method of increasing throughput is to reduce the cycle time of the rate-controlling process step. Depending on the type of assem- bly and equipment set used, the process step with the longest cycle time could potentially be printing, solder paste inspection (SPI), compo- nent placement or reflow oven conveyor speed. This article will discuss two simple experiments that may lead to increased throughput and in- creased profitability (assuming the selling price exceeds the marginal cost of each assembly). Print cycle time can be the bottleneck if the electronic assembly has relatively few compo- nents or if the production line used has a well equipped set of placement devices. If this is the case, there are two simple experiments that can be carried out to evaluate if a reduction in print cycle time can increase production volumes without reducing quality. Producing bad boards by Mitch holtzer and Lourenco nampo alpHa AcroSS the boArd reducing Print cycle time Figure 1: Stroke time versus speed (inches per second) and distance.